Google partnered with Lego to introduce a new web app that lets users build brick creations on their Chrome browser. After joining forces with Lego, Google has launched a brick building game 'Builder with Chrome' app. 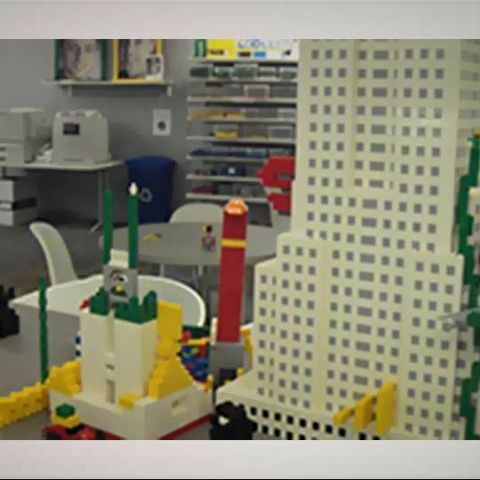 The app allows users to build anything without any fear of running out of the LEGO bricks. The application has been launched for Chrome browser on PCs, tablets and smartphones. The app was originally built by an Australian team as a Chrome Experiment and was later taken up by Google to bring it to the public. The LEGO 'Build with Chrome' app looks like a virtual sandbox with Lego bricks in different shapes, sizes and colors. Users can stack, snap and rotate a variety of bricks with the keyboard shortcut keys. The app comes with brick building lessons starring characters from an upcoming LEGO film to improve your stacking skills and become a master builder. Once a building is created, users can publish it on a world map. The app will look for your location and publish it. The tiles you build on, are stylized Google Maps tiles actually. It also comes with Google integration that allows users to share and view creations with their friends on the contact list. It has a new categorization system that allows users to sort and filter for specific structures from completed Builds. Google product marketing manager Adrian Soghoian describes himself as a “beginning builder." "We think the creative freedom of Lego bricks shouldn’t be limited to plastic bins," Google said in a blog post announcing the website.